Norma Jean Houston of Holyoke, Colorado was born on September 25, 1924 to Lester McCormick and Henrietta (Schmidt) McCormick in Holyoke, Colorado. She passed away on November 24, 2018 at the Good Samaritan Skilled Nursing Fort Collins Village, Fort Collins, Colorado, at the age of 94. 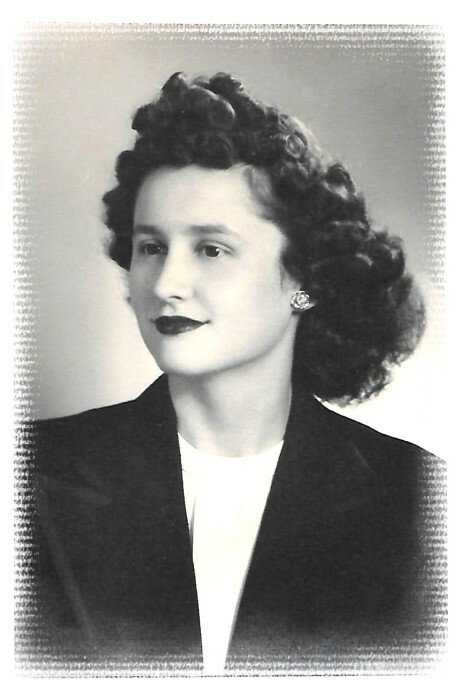 Norma Jean also known as “Jean” graduated from Phillips County High School in 1942. Following graduation Jean moved to Denver, returning to Holyoke in 1957. Jean worked at several clerical positions retiring from Agricultural Stabilization and Conservation Service in 1986, after nearly 25 years. Jean enjoyed playing cards with friends and was a whiz at crossword puzzles. Loved her Colorado Rockies – could give you the personal information on her favorite players. Volunteered and served on several committees with the Holyoke Methodist Church. Following retirement Jean enjoyed her early morning walks and again in the afternoon, marking six miles a day. Her friends were a very important part of her life, always looking out for them and caring for them in any way she could. Jean’s life was dedicated to her family and spending time with them was her passion. Jean is survived by her daughters, Janice Kaz (Dennis) of Fort Collins; Joyce Toliver (Joe) of Brighton; Grandsons, Ryan Toliver of Johnstown; Brent Toliver of Brighton; Granddaughters, Anissa Fabrizio (Tony) and their son Brandon of Thornton; Melany Hill (Tom) and their son Ashton of Fort Collins; Sister-in-law Lola McCormick of Northglenn; Jean McCormick of Brighton; several loved nieces and nephews. Jean was preceded in death by an Infant daughter; parents, Lester and Henrietta McCormick; brothers Dean, J.T., and Larry; sister-in-law, Darlene McCormick. The memorial service will be held on Saturday, December 1, 2018, 2:00 p.m. at the First United Methodist Church in Holyoke, Colorado. Baucke Funeral Home directed the service. In lieu of flowers, please consider donations to Regent Park Skilled Nursing in Holyoke, Colorado; Good Samaritan Village in Fort Collins, Colorado; or, Pathways Hospice in Fort Collins, Colorado.